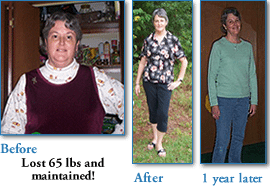 Success Stories – Page 3 – Oxycise! 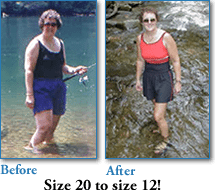 "In the last year I have lost 40 lbs. I am forever grateful for this program." "What Oxycise! has done to my life, you can’t put a price tag on." "In five months I lost 68 lbs... Nothing I’ve ever done got rid of the cellulite until Oxycise! came around!" 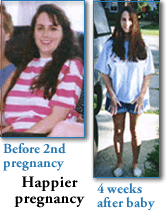 "I feel happier and healthier than I have been in years!" I’m an Oxycise convert for life! The results I’ve had so far are wonderful and I’m an Oxycise convert for life! I’ve lost 22 pounds since 1st January this year, lots of inches all over and I have really increased my energy levels. My lung capacity has also increased as the other day I walked up this very, very steep hill and was barely out of breath. When I first began the breathing in January I could only do a couple at a time and would have to stop to catch my breath before continuing. Now, I do the entire routine without stopping once. I feel happier, more motivated and my thinking is clearer. I’m also wearing smaller size clothes which is so great! I feel much better at 42 than I did at 32. “Hello all my name is Margie Schulz and I would like to share my story with you. If it will help one person make the decision to do Oxycise! it will be worth the effort!!! “I purchased the Oxycise! Program and it collected dust for quite a while. I would pull out the books and then they quickly got put away in a safe place. It was not until I read ALL of the ‘Success Stories’ on this web site that I really got the inspiration to get busy. I am a life time member of Weight Watchers, I have lost 45 lbs, but still needed to lose about 15 more and tone up my body so I made up my mind to do the Oxycise! Program for REAL. I was able to lose 6 lbs during the Holidays and my clothes were getting looser!!! “After I had my son and had lost all of the 50 lbs that I had gained during my pregnancy, I decided to stop nursing him and ended up gaining back 20 lbs in two months. Nothing that I tried to lose the weight worked and needless to say I was very unhappy. At 5′ 2” and 138 I could squeeze myself into a size 10. Well my family decided to take a vacation to Hawaii, that meant that I would have to be seen in a bathing suit! Not a chance!!! While watching TV one day I saw an ad for Oxycise! and thought that there was no way that this could work. I mean after all, I’d been going to the gym for months and had actually gained weight and body fat!!! But I ordered it anyway. It couldn’t hurt, right?! Well I have lost 17 lbs and gone from a size 10 to a size 5. It took me only one month and I have maintained it for 4 months. I can’t wait to try Jill’s other videos. I love Oxycise! and am so thankful for what it has done for me!! “Not only have I maintained these losses, I managed to shave off another half inch from my ribcage and my waist during the past year. I take my measurements once a month, but I still like to step on the scales several times a week to keep tabs on my weight (which tends to fluctuate within about 3 or 4 pounds). Although I continue to write down everything I eat, I’m not nearly as rigid about staying below a certain number of calories anymore. I think the main key to keeping my weight off has been consistently doing my Oxycise! once a day, six days a week. I don’t always do the positions with it, but I always get in at least 120 Oxybreaths. It’s become such a vital part of my daily routine I would be lost without it! “… I happened to come across Oxycise! on QVC but did not order it that time. I was a little more convinced when I saw the article with Jill in First Magazine. Still it took me over a year to order it. I figured it was time to let my depression about my weight go and give myself one more try. By this time I could find no information on television. I then decided to check the web. I found Oxycise! and ordered. “The first two days I was thinking it couldn’t possibly work because I wasn’t sore but on day two I was sore in almost every part of my body. I must say I’m astounded. I know I have lost more inches than what I know of due to having forgotten to measure some parts originally. 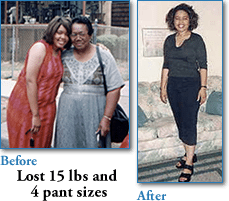 With the measurements that I did remember to take I found that I lost in the first five days a total of 6 ¼ inches and 3 pounds and in 10 days my total went up to 8 ¼ inches and 5 pounds. 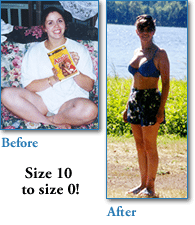 “I must admit my eating habits weren’t too grand when I started during the first 10 days. I was eating fast food twice, sometimes three, times a day. I figured if I could have such great results eating that way that I would try my Weight Watchers plan with that. I recently broke my scale so that is forcing me to go by just inches now. I haven’t measured since day 10. It is now day 13. I will keep you posted. “I gained 26 pounds. I had a little baby Girl Ashley Brianna Rose 6 pounds 4 oz…I weighed less right before I gave birth with this one than I did a few months after I gave birth to my first. “During my last pregnancy my legs were rubbing together…. Well, with this one I did not have that problem. “Except for the last 2 weeks, I did not have any back pains. With my first I was always in pain. I have to say though that even though my back did hurt the last 2 weeks of my pregnancy it was not really bad. I still did my Oxycise! and kept up with the house and my 2 year old. “2 days before I delivered I went to a July 4th picnic. Well, one of my Dad’s friends said, ‘Let me guess when you are due.’ He had guessed October — my due date was July 8! You can imagine how happy I was.